Wave a hearty goodbye to August as we greet Sappy September and embrace the royal and romantic Sapphire, our birthstone of the month. This month we are celebrating Labor Day and Constitution day in the U.S., International Literacy, the Autumn/Spring equinox, and Banned Book Week. Let's not forget Emma Nutt who became the first woman telephone operator on September 1, 1878 and worked happily for 33 years. During September we are also celebrating special as well as wacky days including International Bacon day, Grandparents day, No News is Good News day, Hat day, Talk like a Pirate day and World Gratitude day. Our birthstone of the month is the Sapphire. You may choose to spell out the word, reading one book per letter or read a book with the name or the colors of the stone in the title. Or perhaps find an author whose name is Sapphire. You may decide to find a book set in the time period where the birthstone was discovered or surrounding the myth and lore or set in countries where the birthstone is currently found. Sapphires were discovered around 800BC and the name comes from the Latin word saphirus and the Greek sapheiors which means blue. The ancient Greeks believed the stone protected them from envy and harm. In the 12th century, the stone was believed to guard against witchcraft. Sir Richard Francis Burton thought the stone brought him good luck. King Solomon wore the ring and many believed it provided them with heavenly blessings. The ring's symbolism for romance and royalty was reinforced in the 1980's when Prince Charles gave Lady Diana Spencer a blue sapphire engagement ring. 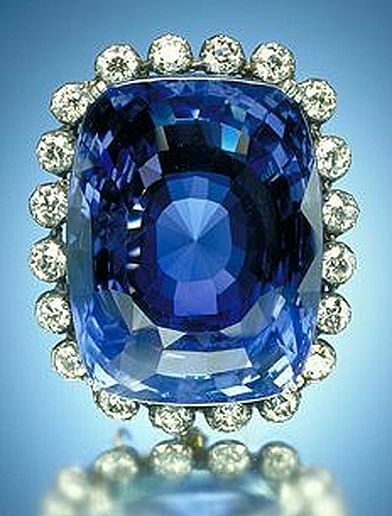 Sapphires come in different shades of blue depending on from which country they are mined. The purest blue come from Kashmir and Burma, darker shades from Wales, Australia, China and Nigeria. The lighter shades of blue comes from Sri Lanka, which is largest producer of sapphires over 100 carats. Our armchair travels are taking us all over the world this month as we dive into the world of Romance. From G rated to the "oh my god, hide the cover so no one knows what I'm reading" books, there is a wide variety to choose from. Don't know where to start? 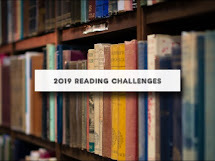 Check out Dear Author, Literary Escapism, Deadline Dames, Romance Writers of America, Cozy Romantic Mysteries as well as Feedspot's list of Top 100 Romance Books blogs and Websites. And don't forget Goodread's Listopia of Romance Books. Romance writers take us around the worlds as well as out of this world. Have fun following rabbit trails.